At The Rug Warehouse, we’ve created an outstanding compilation of rugs to complement some of the most popular design styles, defined below. If you have not yet discovered your particular design style, allow us to help you explore the multitude of available choices. Discover your style, and then discover which of our rugs will best enhance that style. The streamlined, geometric style of home furnishings popular in the '20s and '30s features rounded fronts, mirrored accents, sleek lines and wood furniture with chrome hardware and glass tops. This timeless style remains elegant, refined, unique and popular. Arts and Crafts style furnishings became popular in the United States between 1910 and 1925. The focus was simple in form, without extraneous decoration, often showing the way pieces and materials were put together. Architecturally speaking, Arts and Crafts covers Craftsman style, including designs by Frank Lloyd-Wright as well as the bungalow style popularized by Greene and Greene. Our red Turkish rug will emphasize the simple Arts and Crafts style. Incorporating design elements from Japan, China, Vietnam and Thailand, this style fuses natural fiber elements, bamboo and colors taken from nature to create a serene environment. Inspired by the ocean, this style evokes a light and breezy feel by way of airy fabrics for window treatments and linens. An emphasis on nautical or beach-themed accessories such as lighthouses and seashells are also popular with this design style. The classic Ralph Lauren-inspired palette of navy and white with gold accents is a striking look for any room in your home. Our golden jute rug is the perfect accent for a coastal-designed room. Contemporary design often has clean, sleek lines and is marked by solid colors, predominantly muted neutrals or bold punches of color in furniture and accessories. Furniture is sleek, lower to the ground and often has metal frames or straight legs with an emphasis on basic shapes and forms. Graphic elements in artwork, accents or even our rose Moroccan rug work well with this look. Another definition of country style is rustic elegance. White wood paneling and soft floral patterns, muted hues and pops of red, black or pure white accents are typical of this design style. Floral, checked, and striped vintage fabric patterns are standards, and elements have a handmade, rustic quality: wood, handmade pottery, baskets and hand-forged metal, to name a few. This style borrows from several other design styles and evokes a sense of whimsy and unexpected contrasts. The style is not a euphemism for just throwing together a design without a well-thought out plan; rather it relies heavily on the building blocks of design (color, pattern, texture, composition) to make a cohesive space. Patterns and styles are layered to create this look, and our classic cowhide rug would be an ideal first layer. Originating in the '50s and '60s, mid-century modern is still a popular design style and is epitomized by the Ace Hotel Palm Springs. Scandinavian designers and architects were very influential in the creation of this style, which is characterized by simplicity, functionality and natural shapes. Pops of deep colors such as orange, yellow, olive green and chocolate brown are frequently added to décor to accomplish this design aesthetic. Minimalist design is characterized as sparse and streamlined while still being inviting. With less clutter and decorative pieces, this décor style is made for furniture and unique pieces to be prominently displayed in your home. Muted colors with perhaps one or two accent colors, limited pieces of furniture, a rug to add a pop to a room, and lack of clutter is what defines a minimal styled space. Officially coined in 1980 by Rachel Ashwell, the shabby chic style is a cottage-inspired look incorporating weathered white-painted furniture, painted motifs, floral prints in muted colors, white-slipcovered sofas and vintage accessories in the design. Brightness and airiness are terms used to describe this style, known for inviting comfort and coziness into any home. The use of classic styling and symmetry to create a calm, orderly décor is popular in the traditional style. Furnishings typical of the traditional style are usually 18th-century English, 19th-century neoclassic, French country and British Colonial revival. The color palette is usually in the mid-tones along with muted fabrics featuring simple florals, solids, stripes or plaids. The transitional look bridges contemporary and traditional design. It offers a deep-rooted sense of history in some pieces, while furniture often gets an update with cleaner lines. The use of leather ottomans as coffee tables is very popular in this style, which would look great with our vintage Moroccan Berber rug. 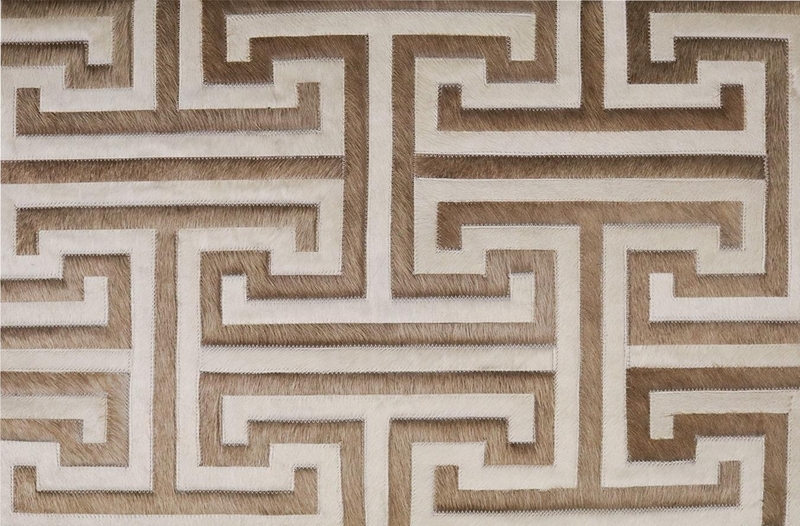 From accenting an Eames chair, to punching up a minimalistic room design, there is a rug for every style at The Rug Warehouse. Peruse our website or, if you’re in the Los Angeles area, visit our showroom to see our full offering of rugs for every design style.